Pat O’Toole has always idolized his older brother, Coop. Coop is… different. He doesn’t talk on the phone, doesn’t use email, and doesn’t have friends. He’s never really cared for anything but the thrill of being underground, and for Pat of course. So it’s no surprise to anyone that after a huge fight with their parents, Coop runs away. One year later, Pat receives a package containing a digital voice recorder and a cryptic message from his brother. He follows the clues to New York City and soon discovers that Coop has joined the Community, a society living beneath the streets. Now it’s up to Pat to find his brother — and bring him home. Pat O’Toole and his brother, Coop, are on the run from an enemy that specializes in hiding in plain sight. Along with their new companion, Kate, they’ve narrowly escaped a cultlike community situated beneath the streets of New York City. Kate has lived underground since birth, and the world above thrills her, but it’s treacherous as well. With the cult’s leader — Kate’s grandfather — hatching a new scheme of global consequence, the three runaways may be the only ones who can stop him. Will they face him head-on, or will they spend the rest of their lives as fugitives? After Q and Angela help foil a Ghost Cell plot in San Antonio, they head to Chicago, the next stop on the Match tour. Since they’ve been busy fighting international terrorism, they’re behind on their school assignments. Their parents tell them if they don’t get caught up, it’s off to boarding school. But who can concentrate on homework when there is a mystery to solve and international terrorism to thwart? Angela is obsessed with finding out more about the mysterious Boone. Q is more interested in not going to boarding school. But when Boone and his SOS crew are ambushed on their way to Chicago, it becomes abundantly clear. Someone inside their inner circle is feeding the Ghost Cell information. As they dig ever deeper to learn the identity of the mole, Angela and Q uncover the Ghost Cell’s next plot. And it’s much, much worse than a car bomb. They plan to unleash a chemical weapon over the skies of Chicago. And it’s up to Angela and Q, along with Boone and Croc, to stop them. Fresh off a “too close” encounter with the terrorist group, the Ghost Cell, in Kitty Hawk, North Carolina, Q and Angela head to San Antonio, Texas. As their parents’ band, Match, prepares for a concert at the Alamo, the two discover that the Ghost Cell has its tentacles everywhere, including the Lone Star State. With each passing hour, Q and Angela uncover more clues and discover more leads. And the mysterious Boone and his SOS group leave them with more questions than answers, for there is much more to Boone than meets the eye. With time running out to stop another Ghost Cell attack, Angela and Q and the others begin to wonder. Are they following the Ghost Cell or is the Ghost Cell following them? There was another knock on my door. I opened it. Standing in the hallway was a very serious Secret Service agent. He gave me a curt nod. Angela and I were going to meet the president of the United States in our pj’s. In Book One: Independence Hall, we met Q and his stepsister, Angela. We met their rocker parents, Blaze and Roger; we met the Secret Service team protecting the family; and we met the main players of the Mossad team that is following them. 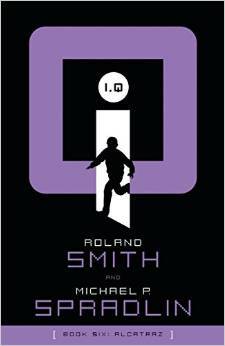 My new series, IQ just came out, preview the web page! Book One is called: Independence Hall.Curriculum is ready too. Thirteen-year-old Quest (Q for short) used to live with his mother, a singer, on a sailboat in Sausalito, California. Fifteen-year-old Angela lived with her father, a songwriter, in a loft in San Francisco. Now their parent are married and Q and Angela are on a luxury motor coach traveling around the country on tour with their parents’ new band called Match. Their schoolwork for the year is a Web diary of their travels. Perfect… Q can practice his magic tricks and Angela can read her spy novels. What could go wrong? Reviewed by Focus on the Family. The fourth book in the CAHILLS VS. VESPERS series, the follow up to the worldwide bestseller THE 39 CLUES. After pulling some spectacular heists, Amy and Dan have become two of Interpol’s most wanted criminals. So when Vesper One orders them to steal the world’s largest diamond, they know they’re facing life in prison . . . or worse. But with the Cahill hostages still in peril, Amy and Dan have no choice but to launch a mission that leads them to an ancient city full of dangerous secrets. With a Vesper mole sabotaging the Madrigals from inside, Amy and Dan have to fulfill their enemy’s request before it’s too late. Vesper One has developed a taste for killing Cahills, and Amy and Dan aren’t going to wait to see who’s next. 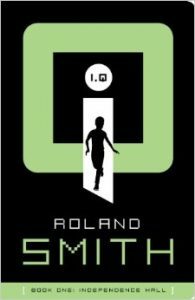 The explosive conclusion to Roland Smith’s fast-paced action series! The adventures aren’t over yet for Chase Masters and his dad. In this third installment, Chase heads south of the border with his friend Nicole Rossi to track down the Rossi Brothers’ Circus–lions, tigers, elephants and all–after a massive earthquake hits Mexico. With a volcano about to erupt as a result of the disaster, Chase has never faced such a serious threat to his survival! Chase and his friends Nicole and Rashawn have just survived Hurricane Emily, the storm of the century, but their troubles are just beginning. Though they’ve made it to the safety of Nicole’s family’s farm — the winter home of the Rossi Brothers Circus — the flood waters are rising and they need to reach higher ground. The circus’s lions have escaped their cages, and a mean and unpredicable leopard is also on the loose. And then, of course, there’s the problem of the wildlife preserve next door! Have Chase and his friends lived through a terrifying night only to face a new danger? When Briggs Barclay first meets his new neighbor Theodore Ranly, he can’t imagine what they might have in common. Briggs’ main ambition in life is to dazzle the freshman football coach as soon as he enters high school. Theodore’s got a killer arm when it comes to passing a ball, but the fact that he’s confined to a wheelchair rules out any possibility of playing backyard tackle. They soon enter into a relationship that sends Briggs on the adventure of his life. 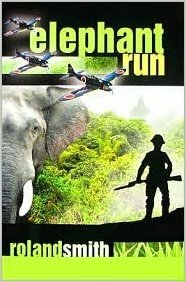 Elephant Run has been honored with a 2009 ALA Best Books for Young Adults sponsored by The Young Adult Library Services Association (YALSA). In 1941, bombs drop from the night skies of London, demolishing the apartment Nick Freestone lives in with his mother. Deciding the situation in England is too unstable, Nick’s mother sends him to live with his father in Burma, hoping he will be safer living on the family’s teak plantation. Curriculum is ready. 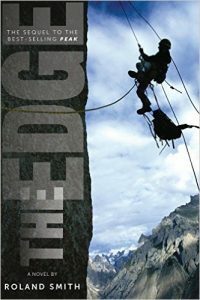 Peak Marcello is arrested for scaling a New York City skyscraper, he’s left with two choices: wither away in Juvenile Detention or go live with his long-lost father, who runs a climbing company in Thailand. But Peak quickly learns that his father’s renewed interest in him has strings attached. Big strings. Marty and his best friend, Luther, have managed to rescue Marty’s cousin Grace from the clutches of the nefarious pseudo-naturalist Noah Blackwood, but their most dangerous mission lies ahead of them. Marty’s parents have been missing in Brazil for months and their trail has all but run cold. With time running out, Marty and the Cryptos Island crew race off for Brazil — where they discover that Noah Blackwood has twisted the natural order of things beyond their wildest, most terrifying dreams. After their parents are lost in an accident, thirteen-year old twins Grace and Marty are whisked away to live with their Uncle Wolfe-an uncle that they didn’t even know they had! The intimidating Uncle Wolfe is an anthropologist who has dedicated his life to finding cryptids, mysterious creatures believed to be long extinct. Marty and Grace O’Hara’s globe-trotting parents disappeared while on assignment for a nature magazine, and now they’re living with their Uncle Wolfe, a scientist fascinated by cryptids–creatures that appear in myths but haven’t been proven to exist, such as the Loch Ness Monster. Wolfe is planning an expedition to New Zealand to track a giant squid, and he’s rented a huge (and possibly haunted) freighter for the trip. But someone on board is determined to sabotage their mission–and if Marty and Grace keeping poking their noses into things, they might end up the saboteur’s next victims! 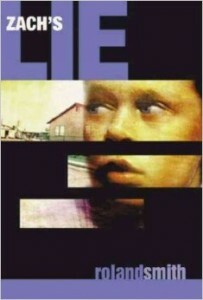 Review by Teens Read Too. Jack Osborne’s life changes forever the night men in masks break into his house, threaten Jack and his family, and ransack their home. Jack then discovers the reason these men have come into their lives-his father has been arrested for drug trafficking. Jack, his mother, and his sister are then forced to enter Witness Security Program. Jack becomes “Zach” and moves to Elko, Nevada, a town in the middle of nowhere. There he meets Sam, the strangest school custodian he has ever encountered, and Catalin, a girl who might make Zach’s uprooting worth the trouble. But just as Zach finally begins to piece together a new life, he finds himself in danger again-and this time his actions could determine the fates of everyone he cares about. When Jack Osborne’s father was arrested for drug trafficking, he agreed to tell the authorities everything he knew about his ex-boss, the ruthless drug czar Alonzo Aznar. But betraying a man as powerful as Alonzo has consequences. The Osbornes have spent the last year in hiding, forced to take on new identities and live under the close surveillance of the Witness Security program. 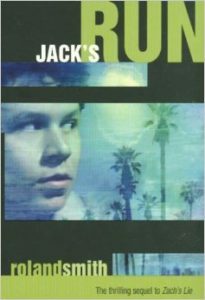 Read the first chapter of Jack’s Run here. As a pup Seaman never imagined that his life would hold much excitement — beyond chasing down rats on the banks of the Ohio River. But the day he met Captain Meriwether Lewis, his prospects changed forever. With Captain Lewis, his partner, Captain William Clark, and the men of the Corps of Discover, Seaman found himself on an incredible journey into the American wilderness west of the Mississippi. 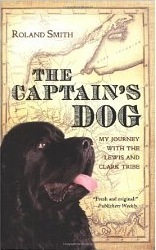 Charged with charting the best path across America to the Pacific Ocean, Lewis and Clark led the Corps and their devoted Newfoundland dog up rushing rivers, across vast prairies, and over snow-covered mountains. It was a landmark expedition. It was a search that changed a nation. And for Seaman, it was the greatest adventure he’d ever had. Dylan’s father has always been a little strange — he spends most of his time making notes on odd topics and storing them away in boxes. But when Dylan’s mother leaves for Egypt, his father seems to get out of control. 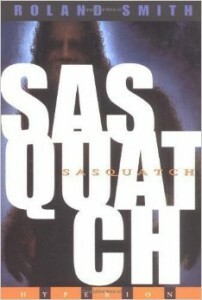 He joins a Sasquatch-hunting team led by top-bigfoot researcher, Theodore Flagg. The team’s mission is to find a Sasquatch and kill it – but Dylan’s father is determined to stop them. To make matters worse, the team has headed up to Mount St. Helens, an active volcano that could erupt any day. Without Dylan’s mother to look out for his father, Dylan feels he has to try to keep him in line. 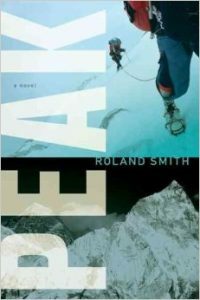 So he joins aging field biologist, Samuel Johnson, on the mountain, shadowing the hunting party through their walkie-talkies. But Dylan may be in even more trouble than he thought– Mr. Johnson is not the man he seems to be. Even as they are following Dr. Flagg’s team, somebody is following Mr. Johnson. 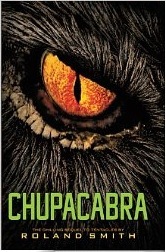 And on top of it all, Dylan is beginning to realize that his father may not be so crazy after all – maybe the Sasquatch does exist, and it’s closer than Dylan ever guessed. Jacob Lansa watches in horror as the poachers carve up elephant carcasses. He wants to stop them, but he is far outnumbered, and the poachers have guns. Was it only last week that Jacob traveled to Kenya in search of his father, who had gone there to study elephants? In that short time, Jacob crossed miles of Kenyan bush, came face-to-face with a lion, and nearly died of dehydration. Then he met Supeet, a Masai with a quest of his own — to bring the rains and end the drought that is devastating his country. 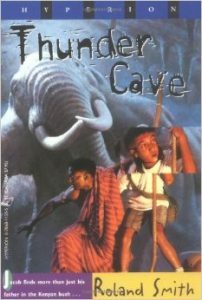 Can Jacob and Supeet find Jacob’s father, end the drought, and save the great elephants before the last one has been slaughtered? When Jacob Lansa joined his father in Brazil, his biggest worry was whether Doc would let him stay or send him back to Poughkeepsie. 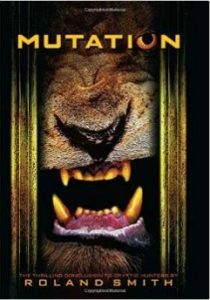 But his father’s expedition to create a jaguar preserve is beset with violence–a massive explosion destroys their boat and Jake is viciously attacked before their journey even begins. More danger is ahead. Before the voyage upriver is over, Jacob will witness first-hand the havoc man has wrought on a fragile environment, and come face-to-face with those who will stop at nothing to gain what they want. When Jacob travels with his grandfather, Taw, back to the Hopi reservation where he was born, he gets a lot more than a quiet trip to the desert. He quickly discovers that the Hopi on the reservation are divided over a lobo, a Mexican wolf. Some believe the lobo is a spirit of the plains–a ghost wolf. But others want to kill the animal because it is hunting livestock on the reservation, even though it may be the last of its kind. Jake knows that if the lobo does exist, he must do everything in his power to help it before it is killed or captured. He must figure out a way to trap the wild wolf and let it loose in a place where it can be truly free and untamed. 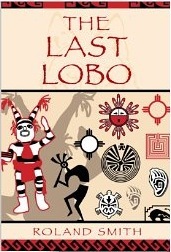 But time is running out–can Jake save the lobo before it is wiped out for good. 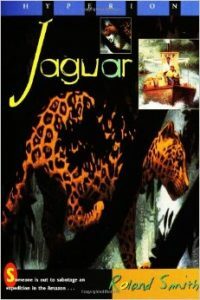 In this thrilling action filled environmental adventure, Jacob Lansa from THUNDER CAVE and JAGUAR is back once again this time Jake must help save an endangered animal before it is killed off by its most dangerous enemy.